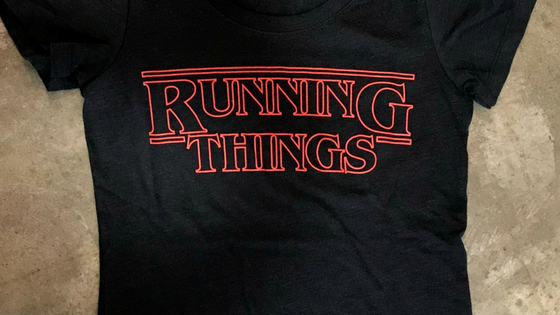 My local (and awesome) running store has a hilarious new t-shirt for sale: “Running Things,” the t-shirt says, in the Stranger Things font. Even though I don’t watch the show, the shirt made me laugh and I appreciated the wink the running store made to popular culture and what their customers do when not training for 5Ks and half-marathons. Since I work with libraries, this got me thinking to the ways (old and new) that libraries can use popular culture to connect with their communities -- and possibly to reach new communities. Connecting to communities through pop culture isn’t new, of course. 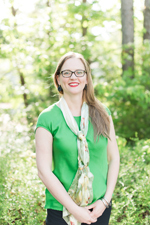 We have a great post on finding Binge-worthy reads for fans of Stranger Things and our webinar on connecting readers’ advisory to pop culture is worth a watch. But at NoveList -- like in your library -- we continue to ask ourselves “Is there more we can do?” MORE is why we launched the For Fans of… Recommended Reads lists and why we created genres like BOOKS TO MOVIES and FRANCHISE BOOKS. The question for the libraries I work with is then, how can you use our more to help you do your more. The release of the NoveList lists in linked data was an “aha” moment I needed. Much like my running store showed their appreciation for their customers lives outside of the trail, libraries can use these NoveList lists and the ability to embed them in their website as an easy way to connect with their community. This can be as simple as embedding a carousel of books from a NoveList For Fans of… list on your library’s website or blog. Since season two was recently released, For Fans of Stranger Things would be a good place to start. People’s lives outside the library don’t only involve television, movies, and other pieces of popular culture. Connect with your reading community through the other activities they participate in. Running, for example. You could post a carousel of read-alikes for the popular book Born to Run by Christopher McDougall or all the books in your collection with the NoveList genre Sports and Competition. Looking for ideas of what to post? Librarians are interesting people with their fingers in a lot of interesting pies -- so ask your coworkers! I’m sure they have suggestions based on their non-library lives or the non-library lives of the people in their circles. All of these actions, big and small, are a part of both reminding your community that the library is a part of their lives and making a gesture to acknowledge all the many pieces of their lives. Public libraries do this so well already. Linked data simply gives libraries another avenue with which to connect -- one that’s where our community is already: on the web. Want to learn more about linked data? Sign up for our linked data newsletter.